Both have the same core control module. (3) a fuse box adapter for power connection. 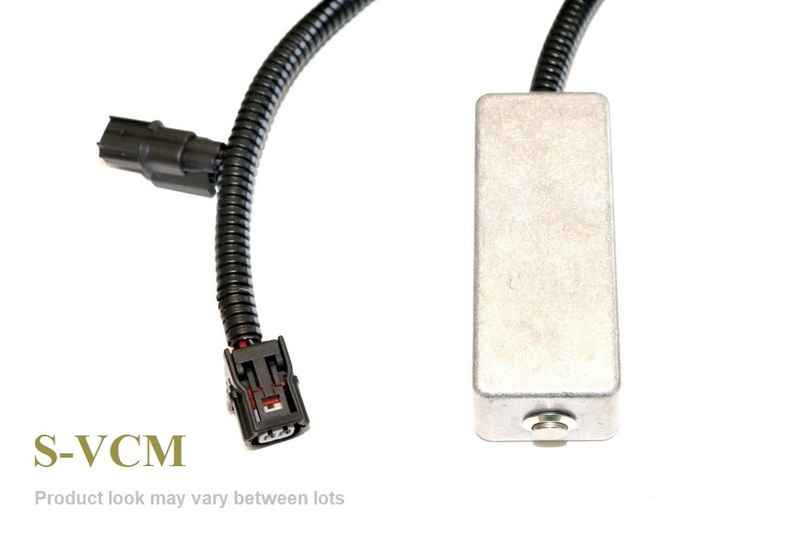 Wire length is cut per customer order, so you can place the control unit (metal box) inside the cabin, for example, beside the fuse hub on the driver's lower left side. Quick and easy to install – a few minutes is what most people say. This is appreciated by clients who are not car geeks or only have basic tools. The standard model is cast sealed completely – that is, no heat shrink tubing or any form of casing that may require insulation. 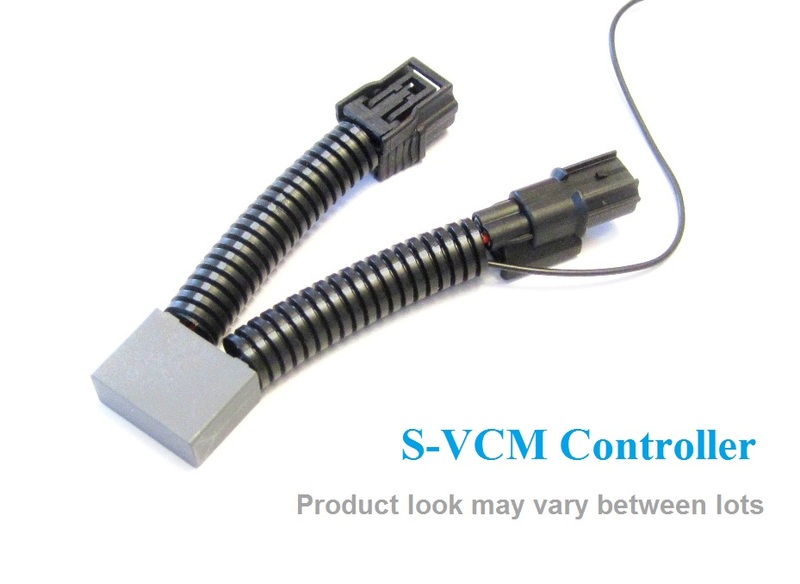 The unibody design makes the S-VCM the most robust product in terms of defence against water and road salt. Designed to be indestructible, its integrity is not compromised even when submerged in boiling brine. Very compact. A minimal footage means that after installation it is less likely to be in your way when you work on other stuffs in the tight engine compartment. Shop mechanic will also thank you for that. This model offers all the bells and whistles: an audible alarm for overheat alert, a switch to easily turn off the S-VCM when needed (ex. if you want to occassionally cruise in ECO mode), and the ability to tap from a fuse box instead of connection to battery. The custom model provides the flexibility for relocating the controller per your need and preference. The control box can be placed anywhere inside the vehicle (or in the engine bay). Stealthy! When you put the control unit in the cabin, there is almost nothing noticeable under the hood, only one split loom routes to the sensor. Over 97% customers use the Standard S-VCM, as it simply works! Please contact if you want to purchase the custom model. Custom model price: US $125 (delivered). Copyright © 2017-19 Smart VCM. All rights reserved.